C# - Advanced Concepts | Free eBooks Download - EBOOKEE! Develop database centric applications using ADO. NET. 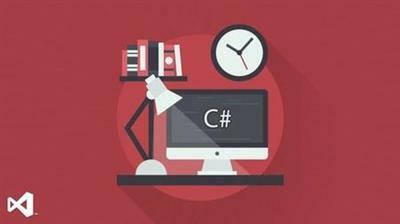 Basic knowledge of C# is required as this course doesn't cover the basics. This tutorial is targeted for experienced programmers who want to program and apply C# in their applications. It provides practices and real-world performance tips. It includes curriculum for preparing Microsoft Certification 70-483. He has over 22 years of Experience in Teaching and Development using Microsoft Technologies. Since 1997, of the total 60,000+ students Deccansoft has trained, he has personally trained over 30,000+ students and we are proud of him because almost every student he had trained is very happy with quality and many are well placed in various I.T Firms. This will also reflect in testimonials on our website. Everyone who is preparing for Microsoft Certifications. No comments for "C# - Advanced Concepts".